The quote set the tone for the service which was focused on the theme of PEACE. 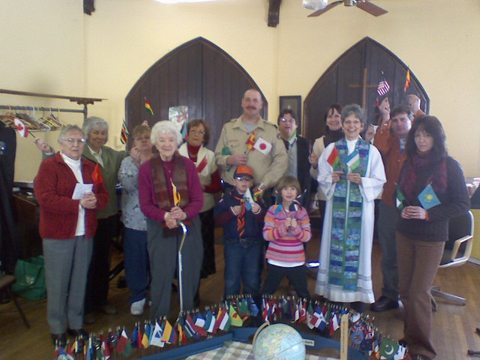 After introductions by Reverend Epperson, Fumi spoke briefly about the history of WPPS and lead everyone in The World Peace Prayer and Flag Ceremony. Prayers for peace to prevail were sent to each country and region on Earth. The congregation opened their hearts and focused their prayers with grace and reverence. A sense of peace and calm pervaded the hall of worship when the service closed with the song, Let There Be Peace On Earth.